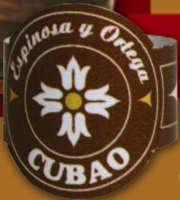 Yesterday, United Tobacco’s EO (Espinosa y Ortega) Brands announced the introduction of the new Cubao cigar. EO Brands is best known for its 601 line of cigars, which comes in four blends featuring the same Nicaraguan filler and binder overlayed with a wrapper leaf of Connecticut (Black Label), Habano (Red Label), Maduro (Blue Label), or Oscuro (Green Label). Like the 601 line, which has been introduced over the past two years, Cubao will be made by Don “Pepin” Garcia. Pepin’s other cigars include Tatuaje, Don Pepin Garcia, San Cristobal by Ashton and (formerly) the Padilla Miami, 1932 and 1948 lines. According to EO Brands, “Cu-bao” is the Taino word for “where fertile land is abundant” or “a great place.” The cigar features an Ecuadorian grown Sumatra Oscuro wrapper with filler and binder from the Esteli and Jalapa regions of Nicaragua. It will be made at Garcia’s Tabacalera Cubana S.A. factory. According to press materials, Cubao will be a full-bodied smoke. The new cigar will be made in six sizes: No. 1 (7-1/8 inch x 49), No. 2 (6-1/8 inch x 52 torpedo), No. 3 (7-1/2 inch x 38), No. 4 (4-7/8 inch x 50), No. 5 (6-1/8 inch x 50), and the No. 6 (5-1/2 inch x 52). The cigar will come in boxes of 20 cigars, except for the Lancero which comes in a box of 30. Suggested retail price for a box is $130-158 ($204 for the Lancero), or $6.50-$7.50 individually. The Cubao will be introduced at the IPCPR Trade Show in Las Vegas starting July 13th. StogieGuys.com will be in Las Vegas to give a firsthand report of the Cubao and other cigars introduced at the cigar trade show. These are the first pictures I've seen of the Cubao. Looks a bit like the 601 Red. Hopefully it is as good. In typical 'Pepin' fashion our new cigar nothing less then stellar. It is a very complex cigar full of spice, pepper & leather. A full bodied cigar with loads of flavor & balance. We can't wait to launch our new brand. Thank you for your support.